The backlash against the ‘Unite the Right’ rally has been swift following the horrific death of one counter protester killed by a white supremacist at the event. Now, however, organizers are trying to sue the city for not protecting their rights. 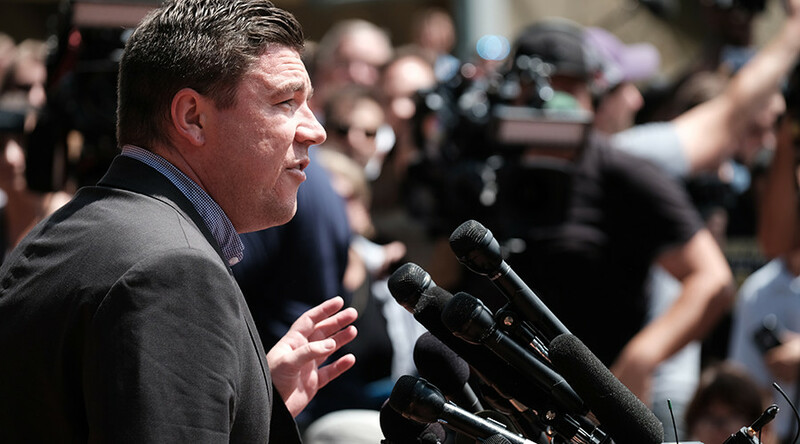 Jason Kessler, organizer of the Unite the Right rally in Charlottesville has set up a crowdfunding campaign to raise funds to sue the city for "violating" the attendees’ civil rights. "We have already successfully sued the Charlottesville government once in federal court where they were found to be discriminating against us," he wrote in a statement supporting his crowdfunding campaign. Kessler claims that he worked with the local police department for two months on a plan to separate the march from counter protesters, which he refers to as "hostile groups like Black Lives Matter and Antifa." Kessler goes on to claim the Unite the Right rally was "AMBUSHED," as the Charlottesville police department "STOOD DOWN." "NOW WE ABSOLUTELY MUST SUE THEM FOR EVERYTHING THEY ARE WORTH. Donate so that we can hire a fierce team of attorneys to MAKE THESE BASTARDS PAY FOR THE BLOOD THEY SPILLED TO KEEP US FROM SPEAKING OUR MINDS," he concluded. The death of 32-year-old counter protester Heather Heyer at the Unite the Right sparked widespread condemnation and outrage online and in the political sphere. Heyer was killed when alleged white supremacist James Alex Fields plowed his car through counter protesters on the street after the planned Unite the Right rally was cancelled following tensions between protesters and counter-demonstrators which led authorities to call a state of emergency. “We condemn in the strongest possible terms this egregious display of hatred, bigotry and violence. It has no place in America,” President Donald Trump said Monday at the White House. “Racism is evil, and those who cause violence in its name are criminals and thugs, including the KKK, neo-Nazis, white supremacists and other hate groups that are repugnant to everything we hold dear as Americans,” he added. Trump was responding to criticism for failing to adequately condemn the white supremacists involved.